PLEASE, PLEASE take a few minutes to read and watch the following. This from my friend, Brady Greene, Area Director of Young Life Guatemala. He, his family and YL staff are making a HUGE IMPACT in the country of Guatemala. They are taking the gospel very seriously, loving on the least, last, and lost there. Jesus, with skin on... walking through some of the worst slums in Central America and “doing life” with the people that live there. I’ve seen this ministry with my own eyes, and it’s nothing short of miraculous. The tragic part of this story is that they are out of money. The bottom line: if they don’t raise enough money in the next few months, they will be forced to leave Guatemala prematurely. 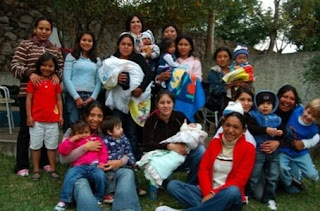 PLEASE pray about giving to Vida Joven (Young Life) Guatemala. Sacrificially giving. After you read (and watch) the following, there will be contact info for your questions and gifts. Please feel free to contact me as well. sell drugs there, and the whole place is more than a little intimidating. I’m not privy to understanding much of it. After a time, they said goodbye, and Fito came back to a language I understood. “He was in the gang with you?” I ask, guessing on the basis of the similar tattoos. that will make itself felt everywhere in a man’s life, not just when he’s around teenagers. It will show up with struggling repairmen, too. they? Are kids coming to Christ? know when or how he works. I can make out a rhythm, a tone, and I sense a rough grace. But I’m not privy to understanding much of it. stomach that day. We either face into it or we turn away from it. answers, and he goes and loves anyway. I don’t know if kids are coming to Christ. I do know that Christ is coming to kids. Guatemala is good place for the tourists of the world. Yes, there has been no doubt about the beauty of Guatemala because it is naturally glorious place for all groups of the people.